Carnival cruise gratuity rates will affect you in one way or other, as guest sailing with Carnival Cruise Line. 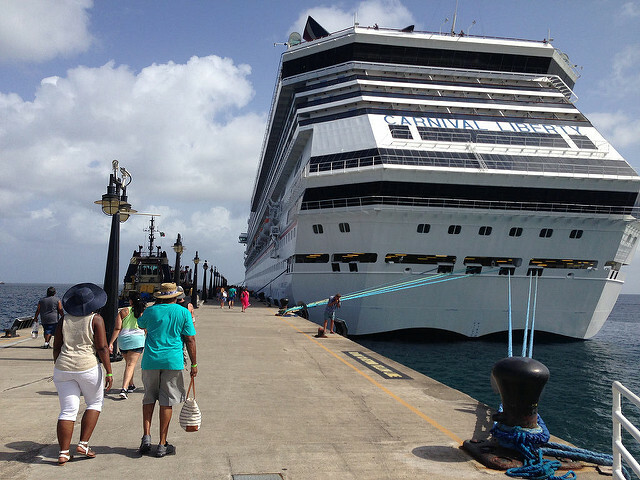 It is helpful to know what your cruise ship tipping experience will be, before leaving port. 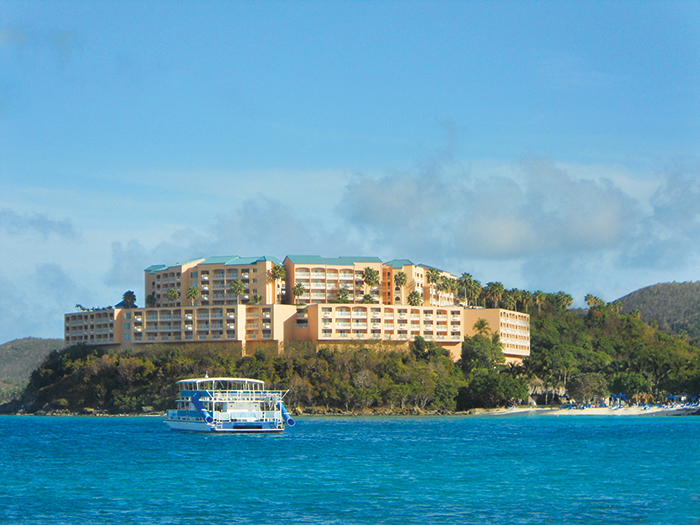 This helps you to plan ahead and budget for your total cruise cost – to some extent. Now that you have bought your cruise ticket and are ready to sail, how will cruise ship gratuity impact your overall cruise cost? It helps know which areas of your family cruise experience will attract some token of appreciation, expressed as gratuity. 1. 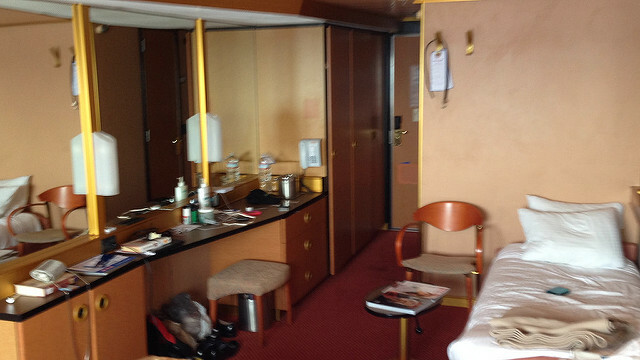 Your Stateroom – On your Carnival cruise ship, you will be assigned a stateroom steward. This person’s responsibility is to keep you happy. 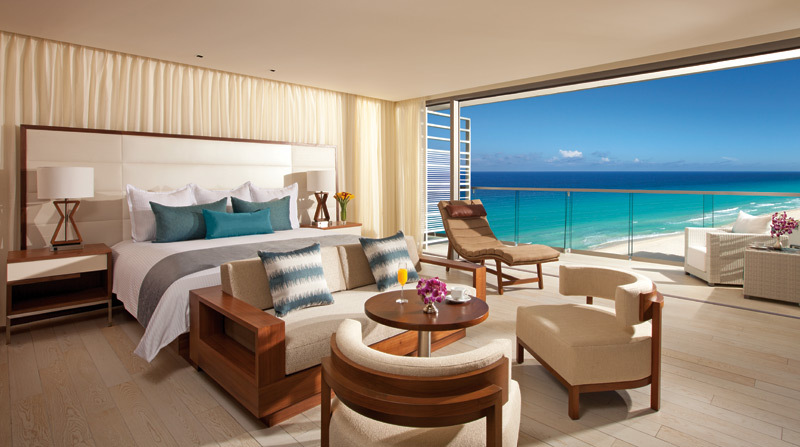 Consequently, your steward will clean your room twice daily – in the mornings after you get up and at some time between dinner and your bedtime. Your steward is available should you need something. 2. 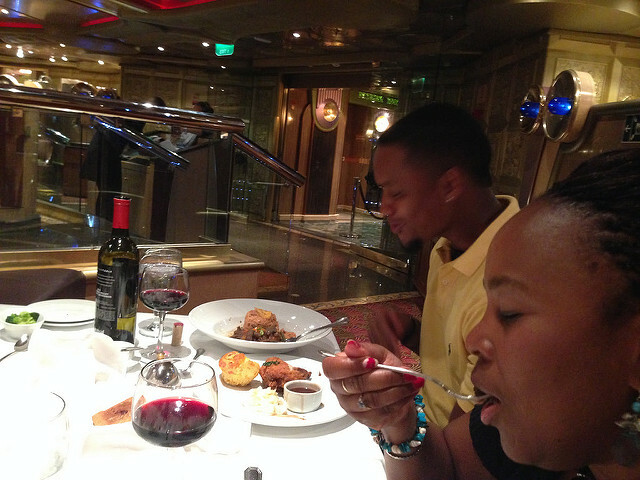 Dining Room Staff – You are generally assigned to main dining room onboard Carnival’s Fun Ships. In each room, there is a team of servers which takes take of you and your family for all three meals, if you wish. If you choose one of the fixed dinner times, you will have the same team serving you each evening for dinner. If you choose flexible dining, then you will be served by different teams each night. In addition to the servers in the main dining rooms, there are crew members who clean up after you in the buffet restaurant (opened for all three main meals) and on the open deck where some guests leave their plates and cups. There are also other workers who serve you at additional eating spots such as the grill, pizzeria and deli. 3. 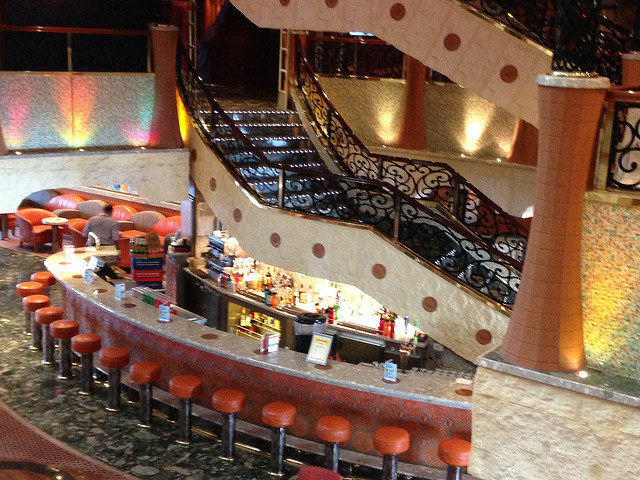 Bar Service – There are several bars in different locations around the ship. Whenever you purchase a drink at any of them, you will incur a service charge or beverage tip. 4. Spa Services – For those who want some extra pampering, there are spa services onboard the cruise ship. Whenever you choose a treatment here, you may also incur a service charge. 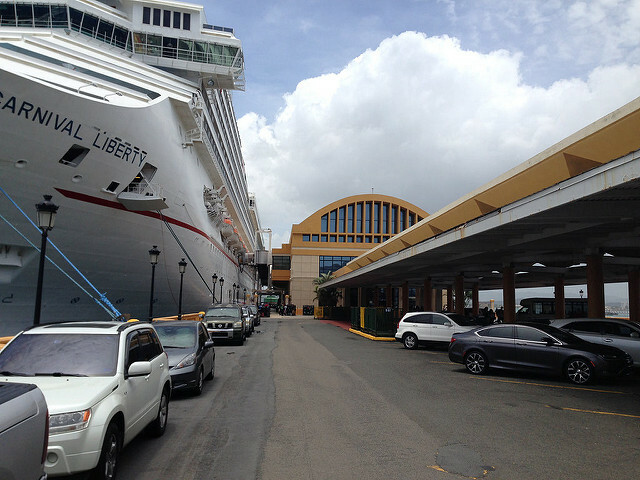 I have listed the four main areas where Carnival cruise gratuity rates come in to play. Note, however, that there are hundreds of other crew members onboard each ship working to ensure that your family’s cruise vacation is the best experience you will have. Think about those people working in the kitchens, guest services, keeping the power on, manning water systems, and piecing together amazing bouts of entertainment and activities for you. For those who have young children, there are trained professionals who care for them during the day and up until 10 p.m. at night so that you can have some time alone. You will agree that all these people deserve to be thanked for their services and therefore participating in the cruise gratuity program is the way to do this. This saves guests the trouble of walking around with a bundle of cash to tip people, as they serve you. Now that you know the “why” behind Carnival’s cruise ship gratuity program, let us talk about how much you will be charged on a Carnival cruise vacation. *Bar Service – 15 percent service fee is added to each beverage purchased. Note: Rates are subject to change. How Are Carnival Cruise Gratuity Rates Processed? How exactly does cruise ship tipping work on Carnival cruises? This is easy. Each guest is linked to an onboard account. Carnival automatically adds the cruise ship gratuity charge to your onboard account. A daily charge is added each day, and you will see this if you print out your list of charges at one of the onboard machines, view it on your television, or request a copy from guest services. Exception: Guests on Carnival’s cruises to nowhere, must pre-pay their gratuities. 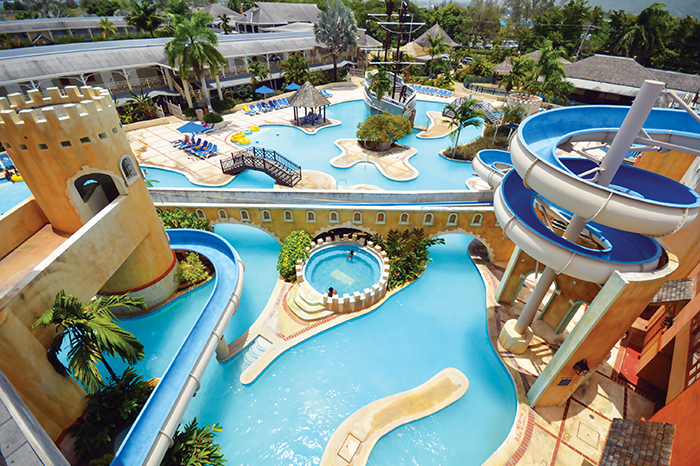 What Can Be Done About Carnival's Automatic Charges? It is worth adding, that while Carnival automatically adds a service charge to your onboard account, you still have control over the amount you pay. Yes, you can have the charges increased or decreased. 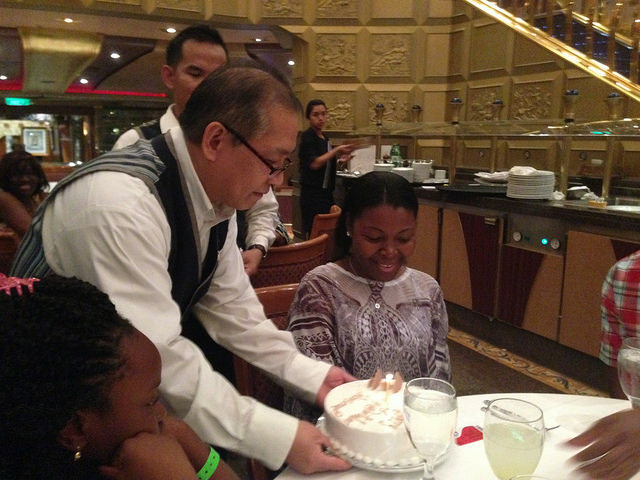 I explained earlier that there are many crew who work tirelessly to ensure that your inclusive Carnival cruise vacation is pleasantly memorable. Consequently, I do hope that you will be careful to leave some gratuity for them. In the event your cruise is exceptional and you wish to express this in your gratuity payments, you can make the adjustments. If you want to increase or decrease the amount of gratuity you pay, simply visit guest services and they will do this for you. The cruise ship gratuities you pay on Carnival's ships can be pre-paid. If you truly want to ensure that you have covered most of the cost of your cruise vacation before leaving home, you can have your travel agent pre-pay your gratuities. Another advantage in doing this is that if your cruise happens to be months away and the gratuity rates increase after you book, there is big fat chance that you will be grandfathered into the old rate. You will save some money there, especially if your family is more than two people. 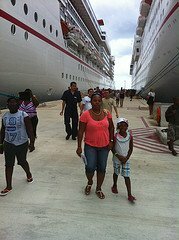 It is my hope that as you prepare for your next family cruise vacation aboard one of Carnival’s Fun Ships, you are better prepared having the information presented here on Carnival cruise gratuity rates.